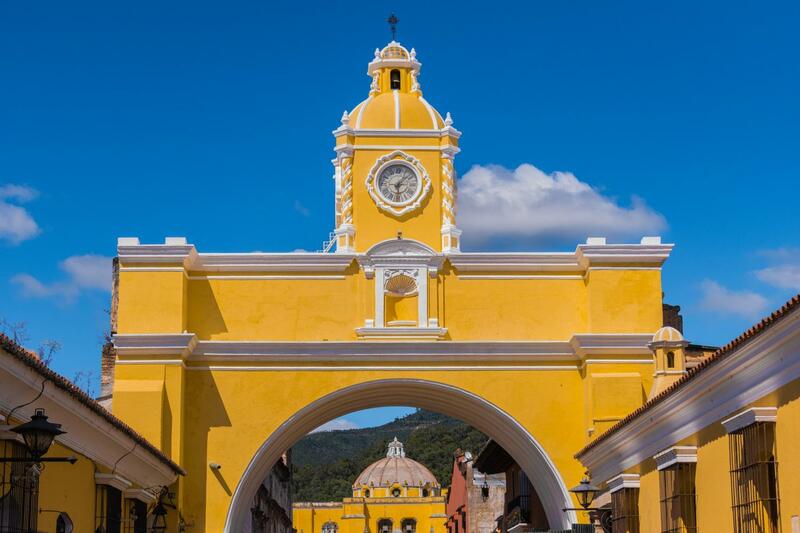 You will be picked up at your hotel in Guatemala City and transfer to Antigua Guatemala to meet our local guide to begin your soft walking of approximately 3 hours below a brief summary of what to expect on your way. La Merced Church of Guatemalan Ultrabaroque style, this temple has two bell towers. On the facade of the church, in its upper part is a sculpture of San Pedro Nolasco, founder of the Mercedarian Order. Santa Catalina Arch, built to connect the nuns between cloisters to avoid being seen due to the votes that the religious who belonged to that Order took, After the earthquakes of 1773, the arch became important due to the arrangements that were made. These arrangements included the construction of a turret and the inclusion of a Lamy Amp Lacroix watch of French origin. Central Park surrounded by the traditional grid pattern used frequently in urban planning in the Spanish colonies. The park is surrounded by the Palace of the General Captains, the Town Hall, the Cathedral of San Jose and the Trade Portal. At the end of the tour you’ll be transferred back to your hotel in Guatemala City. Loved the place! That volcano view really worth it. Juan Pablo as a guide is awesome! Nice place! Jairo is a great guy and he loves what he does!